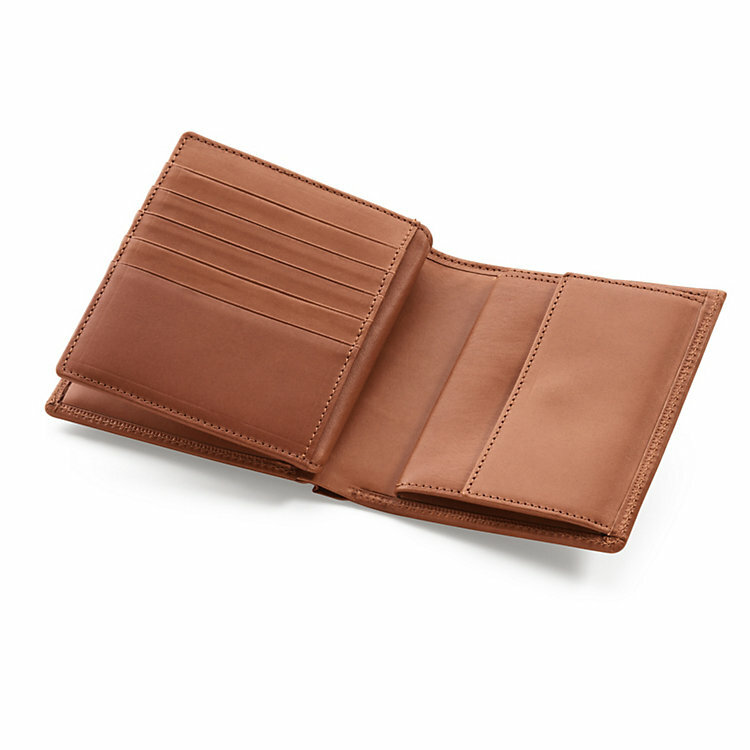 0.8-0.9 mm thick reindeer leather, vegetable-tanned and aniline-dyed. Width 11 cm x height 12 cm. Weight 120 g.
This combination purse has enough room for every possible card, licence, certificate or ID document that the unfortunate traveller has willy-nilly to carry around nowadays. A special feature: it comes with a detachable insert with a flap that fits firmly into the credit card compartment section. Simply take it out for shorter trips, visits to the pub etc., where you’re not likely to need it. Both parts can be used independently of one another. The purse has five compartments for credit cards, two for paper money, one for documents, one for coins, and a concealed compartment. The insert has ten more compartments for credit cards, two for personal documents and one with semi-transparent white netting.